POETRY PAGE OF PGR: My gaze is clear as a sunflower. 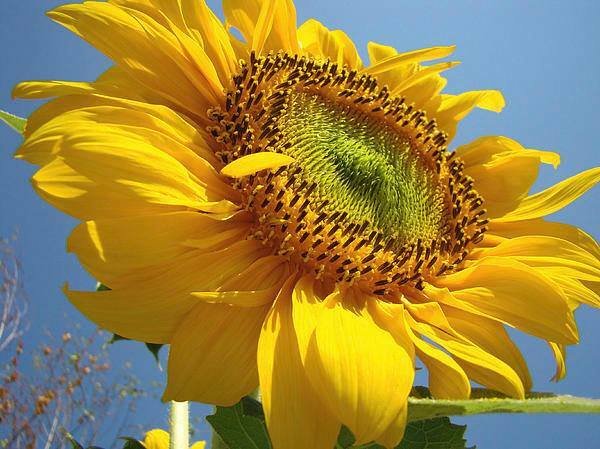 My gaze is clear as a sunflower. Fernando Pessoa was Portugal's greatest poet of the twentieth century. This poem is sublime and it drives the message very clear –“ the only innocence is not to think”. The poet calls for an existence at one with the natural world around him, and see things as they are, without probing any underlying mystical or symbolic contents. It is like we becoming an intrinsic part of the natural world. We must, for instance, learn to see a mountain not through our exaggerated thinking function but to see it only as a mountain – to see it as it is in order to be in modest harmony with it. This is a kind of lesson in unlearning. I think our whole problems stems from our vain and recalcitrant efforts to find answers as to why? The moment we turn into calm acceptance of what we see and experience, we usher in peace in our lives.